Today, the Totango team is excited to announce a brand new “SaaS Executive Dashboard”. The Totango SaaS Executive Dashboard is an extension of the Totango online platform which allows SaaS teams to gain full visibility into the level of customer engagement in their business. The SaaS Executive Dashboard allows SaaS executives to track and plan to improve key SaaS performance indicators and contains features such as Cohort Analysis. From the dashboard you can also drill down and instantly see specific account details. 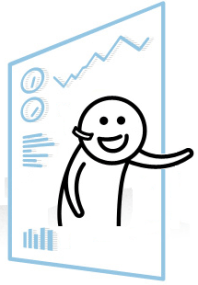 The simplest way to learn about the SaaS Executive Dashboard is to watch this intro movie. Totango SaaS Executive Dashboard from Totango on Vimeo. We’ve chosen the metrics included in the SaaS Executive Dashboard based on discussions with many SaaS companies at various maturity levels. Many of these conversations started from our SaaS Metrics Survey through which we aimed to capture an even wider view of the industry. We’ve learned that most companies are struggling with homegrown monitoring solutions and still lack the visibility into important metrics needed to make strategic and tactical decisions for their company. You can download the full survey to learn more. However, bottom line, most SaaS companies start with nothing, then as they grow they realize they need metrics to measure their business and start building home grown solutions which eventually gets out of control in terms of complexity and budget. Totango SaaS Executive Dashboard captures the current SaaS best practices around monitoring customer engagement and customer success and tracks visitors, signups, activations, conversions and your SaaS churn rate. You can monitor against your business objectives and plans, diagnose problems and identify areas for improvement. The Totango SaaS Executive dashboard is the best way to focus your SaaS organization around customer engagement and customer success. The Dashboard is available to existing Totango customers and will be available for new registrations within a couple of weeks. You can go ahead and pre-register to get access when it’s released. The SaaS Exec Dashboard will always have a free tier, so SaaS startups that are just starting their business can take advantage of industry best practices with limited effort. Get a high level view of your business! Next Post Does your SaaS Business have a VP Customer Success?